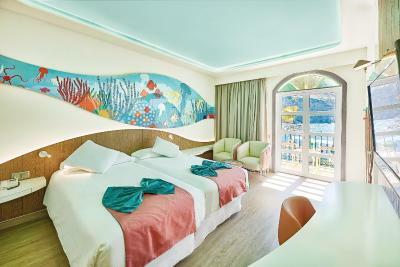 Lock in a great price for Hotel Puerto de Mogán THe Senses Collection – rated 8.8 by recent guests! Everything! The staff was so friendly and helpful, the location was amazing, the rooms were clean and well-appointed and the breakfast was something we looked forward to in order to start our day off well. The breakfast and dinner buffets were fantastic! So many options and lots of fresh fruits and vegetables. Waitstaff and front desk staff were terrific! First I would like to say this hotel is in the perfect location. The moment we (my mom) and I walked in the front door, it was like the staff would move mountains to make this the perfect vacation. The room was great with views of the beach and marina. The breakfast and dinner were satisfying as well. I have to throw a shout out to Yassin,David, Miguel and Tamara in the bar and restaurant, you guys were fabulous. I honestly believe the highlight to this hotel is a lovely lady named Renate. She is by far the best front desk agent I have ever encountered. From the moment we walked in till the very moment we left she not only became a friend, but I felt like she was my personal assistant. :) Thanks again for a great vacation!! JIll San Diego, Ca. Food was very fresh .Hotel very relaxing in a great location. The hotel is in an amazing location with marvellous views and helpful staff. 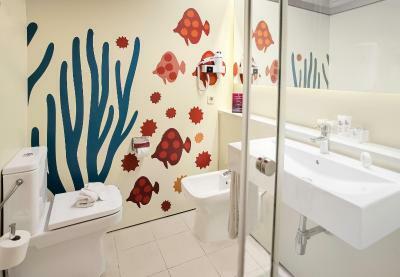 Location, comfy beds and cleanliness of rooms and general hotel facilities. Rooftop sun area. The selection and standard of food available for breakfast was extremely good - Must be rated among the best. The reception Staff were outstanding with special mention to VERENA. An absolute credit to the Hotel. 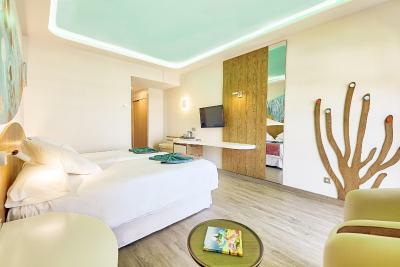 Hotel Puerto de Mogán THe Senses Collection This rating is a reflection of how the property compares to the industry standard when it comes to price, facilities and services available. It's based on a self-evaluation by the property. Use this rating to help choose your stay! 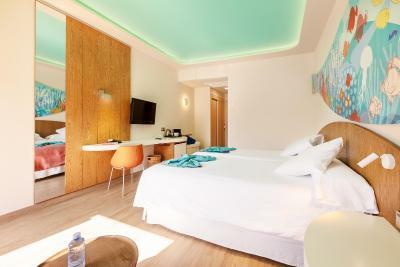 One of our top picks in Puerto de Mogán.Hotel Puerto de Mogán THe Senses Collection is set a few feet from the beach in Puerto de Mogán. This hotel features a spa and a swimming pool with direct access to the sea. 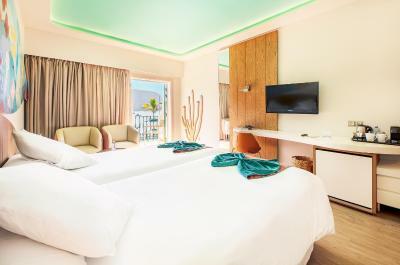 Hotel Puerto de Mogán THe Senses Collection is set in traditional, Spanish-style buildings and offers attractive, bright décor throughout. 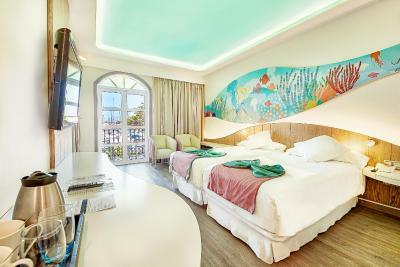 All rooms feature a balcony or terrace and ocean views. 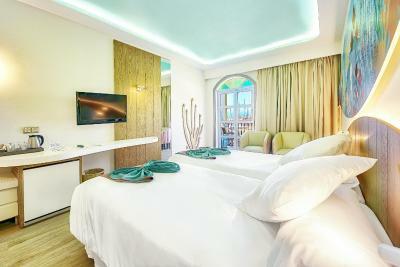 Its air-conditioned rooms also provide a mini-bar and satellite TV. WiFi is free in public areas. The restaurant offers a range of Canarian and international cuisine. Guests can relax on the hotel’s terrace, which has loungers and views of the marina. There is also a pool-side bar, serving drinks and snacks. Hotel Puerto de Mogán THe Senses Collection is located in the so-called Little Venice, a unique area where you will find saltwater canals interconnected by little bridges. 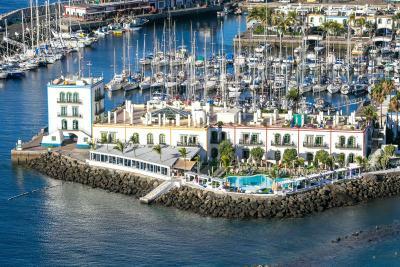 The center of Puerto de Mogán is within walking distance of the hotel. This property also has one of the top-rated locations in Puerto de Mogán! Guests are happier about it compared to other properties in the area. 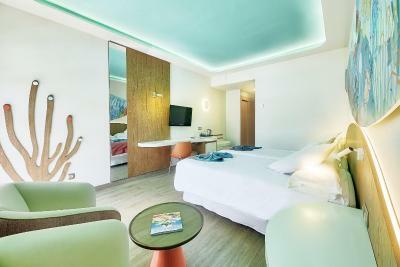 When would you like to stay at Hotel Puerto de Mogán THe Senses Collection? This room offers twin beds, coffee-tea-service and a private terrace or balcony. It features free WiFi, TV, air conditioning and safety deposit box. 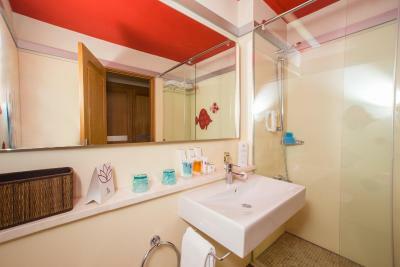 Guests will find a private bathroom with shower, hairdryer and toilet articles. A pillow and linen menu is provided. 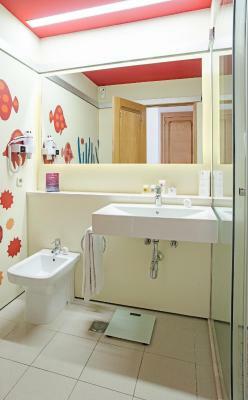 House Rules Hotel Puerto de Mogán THe Senses Collection takes special requests – add in the next step! Hotel Puerto de Mogán THe Senses Collection accepts these cards and reserves the right to temporarily hold an amount prior to arrival. Please inform Hotel Puerto de Mogán THe Senses Collection of your expected arrival time in advance. You can use the Special Requests box when booking, or contact the property directly using the contact details in your confirmation. The only (very small) thing was the banister leading up the main stairs. If you slid your hand up you would rap your knuckles on the wall halfway up. Clearly many have done this including my partner...multiple times...lol. Very minor but we honestly couldn't find a single other thing wrong wirh our stay!! Although allocated a room with a sea view, we had no balcony. Half way through our stay repair work was undertaken on the roof of the restaurant below us, involving maintenance men walking past our window! No notice or apology was offered by the hotel. We miss a small bar in the hotel. There is one by the pool but it´s not the same thing as a cosy bar indoors. Some of the boiled vegetables like carrots and broccoli were overcooked and left in a warming dish all evening The sauces that were served to the excellent meet need to be changed to more tasty sauces and we also miss a classic bearnaise/choron and hollandaise sauce to the grilled meet and fish. 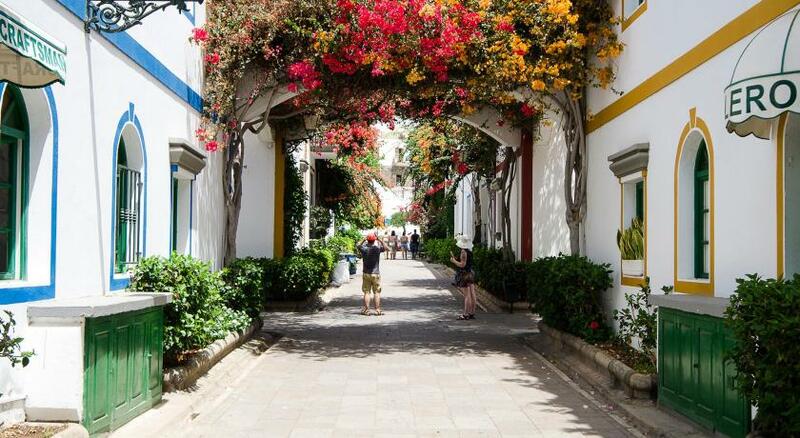 There is no better location in Puerto de Mogan. We will always come back to this hotel! Very friendly and efficient staff especially in the restaurant and bar. They are like family. Excellent breakfast. The scrambled eggs and bacon were excellent. On the whole also the dinner was very good - good variety, nice hors d'oevres, tapas, cheeses and excellent meet and fish to be prepared à la minute. Pleasant pool area with outstanding view. 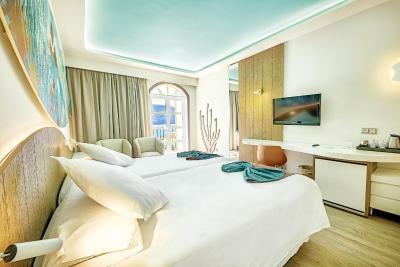 Nice renovated rooms. The evening meal was at times somewhat chaotic. Too few tables for amount of clients. The food was indifferent, however the staff did a great job. The buildings in Puero Mogan are all built in the Spanish style, whilst the other resorts have just square concrete blocks. Excellent service by all members of the staff, a high standard of cleanliness, and a superb position made it one off the best hotels in which we have stayed. The quality of the food and the extent of the cuisine was in a class of its own. Nowhere to sit and relax with a drink after evening meal. No entertainment. Bed a bit too hard. The two singles needed to be clipped together as they slid apart. Fantastic location and lovely rooms & food. The staff were wonderful.